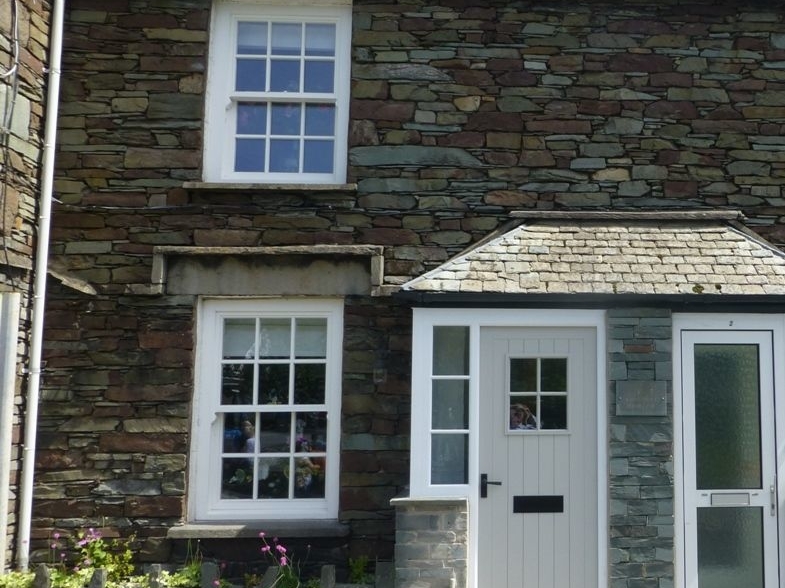 Situated in the heart of Grasmere village in the picturesque Lake District. Beck Steps has a boutique hotel style interior, combines modern luxury with romantic style to create the perfect Lakes hideaway for a couple. 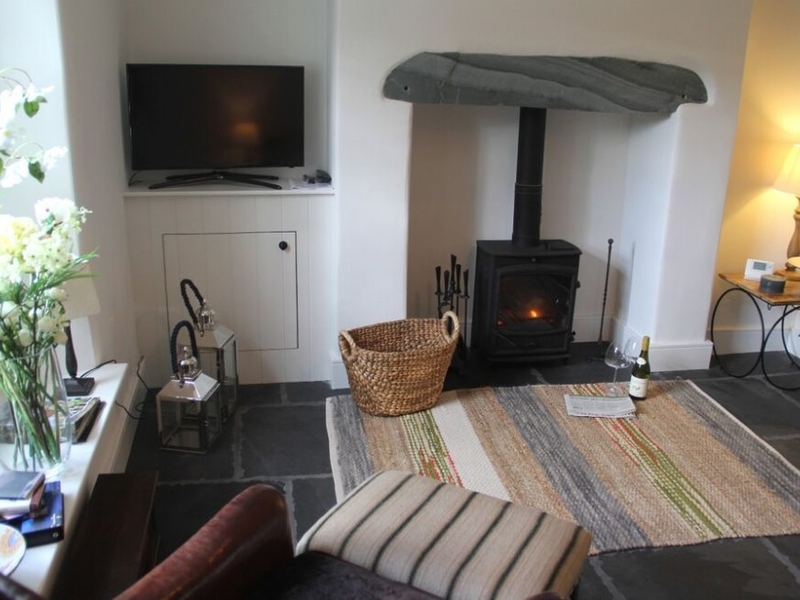 The stylish living room with its Lakeland stone flagged floor, wood burning stove and cosy yet contemporary furnishings. The Shaker style kitchen is clean and bright and luxuriously fitted out and there's a door out to the patio. Upstairs is pure luxury, from the king size bed and lovely Shaker style bedroom suite to the bathroom with its claw-footed freestanding tub and oversized telephone shower. There's also a hand basin, WC and heated towel rail to complete the opulent yet relaxed feel. Outside there's a patio with garden furniture, ideal for a morning coffee or an evening glass of wine after a busy day's sightseeing. Private parking for one car is also provided at the rear of the property, while the front door opens almost directly on to the traditional village green. Grasmere is one of the most vibrant and sought after villages in the Lake District, famous for its gingerbread and its association with the Lakeland poets. William Wordsworth lived on the outskirts of the village at Dove Cottage and was inspired to write his famous poem 'Daffodils' here. Modern Grasmere has a wide range of facilities including fabulous restaurants and pubs, and there are walking opportunities literally on the doorstep. Perfectly located for an exploration of everything that the spectacular Lake District has to offer, Beck Steps 1 in Grasmere is the ideal romantic bolt hole at any time of year. One double bedroom. Bathroom with freestanding bath, telephone shower, separate hand basin, WC. Living room with Lakeland flagged floor, woodburner and flatscreen LED TV. Fully equipped Shaker style kitchen with dining table. Underfloor heating and wood-burner. Electric oven and halogen hob, microwave, fridge/freezer, Belfast sink, Washer. Flat-screen LED T.V., WiFi. Gas and electric included in the rent. Bed linen and towels provided. Patio with garden furniture. Private parking for 1 car. Note: Dates available online for either 2-3-4 nights the owner is happy to take short break. Can you please contact the office or Chat for price.